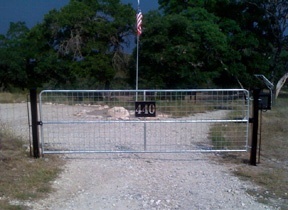 Custom Driveway Gates, Ranch Gates, Solar, Electric, Automatic Gate Operators. Canyon Lake, Wimberley, Texas. 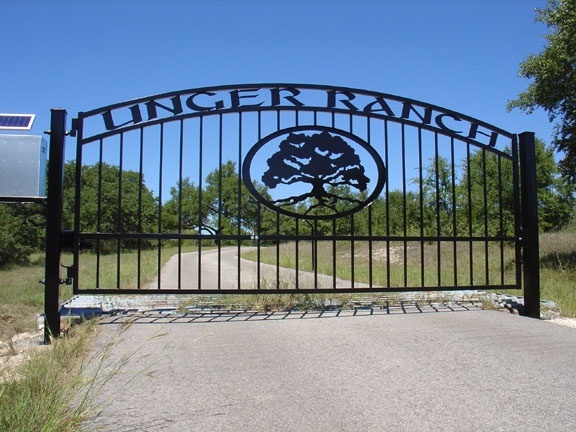 Custom Driveway Gates, Ranch Gates, Solar and Electric Gate Operators. Canyon Lake, Wimberley, TX. Serving Central Texas and the Hill Country since 1998. 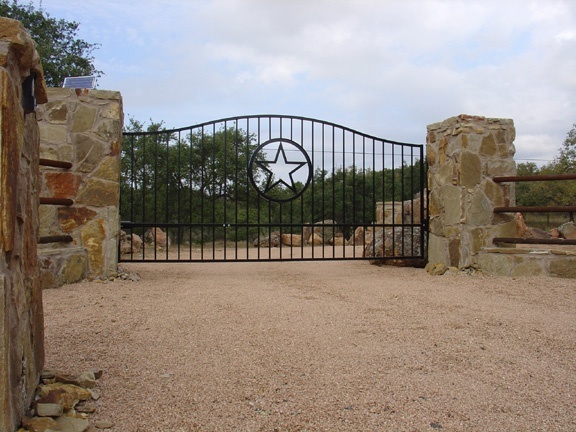 Lane Metal Works specializes in custom driveway gates and automatic gate operators for your ranch or home. We offer complete custom iron gate packages, ranch style utility gate packages, and solar and electric gate operators. We are located between Wimberley and Canyon Lake, TX. We serve the Austin to San Antonio corridor of Central Texas and the Texas Hill Country. We build and install our own high quality custom gates. 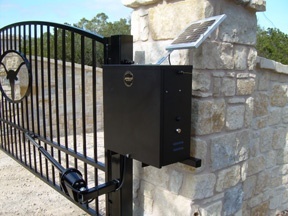 We install U.S. Automatic gate openers. We provide free onsite estimates within our listed service area. Thank you for browsing our site. We look forward to hearing from you. Counties: Northern Bexar, Blanco, Comal, Hays, Kendall, Southern and Western Travis. Cities: South Austin, Bee Cave, Blanco, Boerne, Buda, Bulverde, Canyon Lake, Comfort, Driftwood, Dripping Springs, Johnson City, Kyle, New Braunfels, Northern San Antonio, San Marcos, Spicewood, Spring Branch, Wimberley.